Concrete pump for sale from Aimix Group has many types for your selection, such as, concrete mixer with pump, trailer concrete pump, concrete boom pump for sale, small concrete pump, mobile concrete pump, etc. There are many concrete pump manufacturers on the market, but you need to polish your eyes to find reliable concrete pump suppliers. Then you can take concrete pump capacity into consideration. 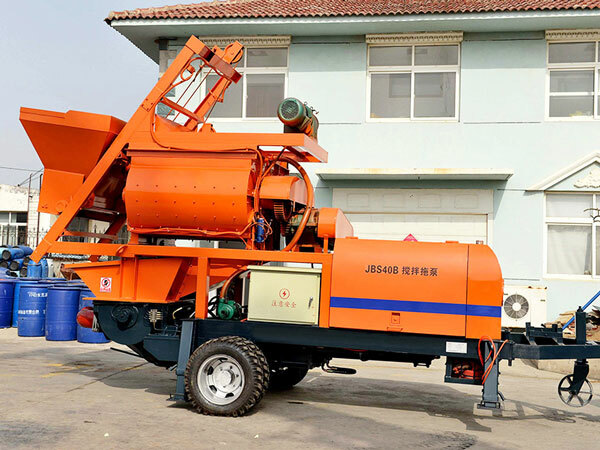 This mixer type concrete pump is equipped with concrete mixer, not only can produce concrete, but also pump concrete, which can work efficiently, greatly save construction period. 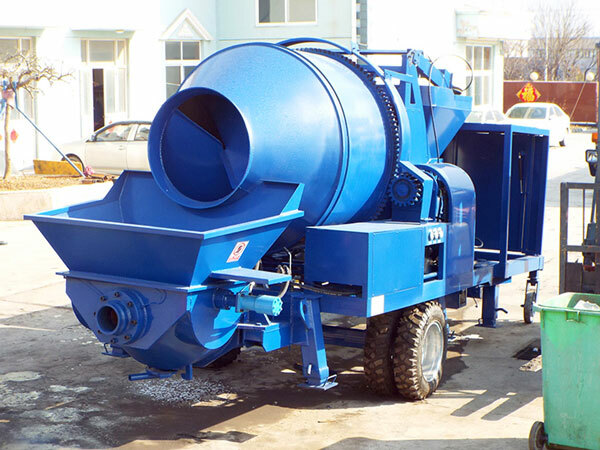 We mainly have two types of concrete mixer with pump, one is named drum concrete mixer pump, the other is named compulsory concrete mixer and pump. 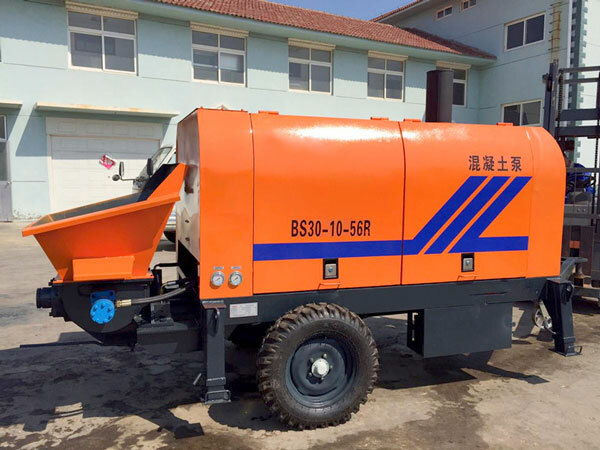 From the configuration, drum concrete mixer pump is equipped with drum concrete mixer, can produce concrete continuously, it is suitable for project needs concrete with general quality, but it is very efficient. While compulsory concrete mixer and pump is equipped with twin shaft concrete mixer, mixing high stirring intensity improve the quality of concrete, and its advanced patent technology: shaft-end seal can extremely reduce concrete residue, which is very cost-saving. Concrete pump capacity per hour is 30m3 to 40m3. Both drum type and compulsory type can be equipped with diesel engine or electric motor. 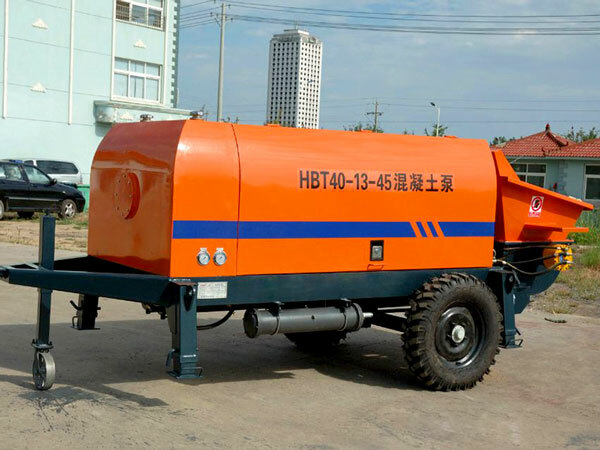 Trailer concrete pump also can be named as small concrete pump, portable concrete pump, stationary concrete pump, etc, so do you know its characteristics? 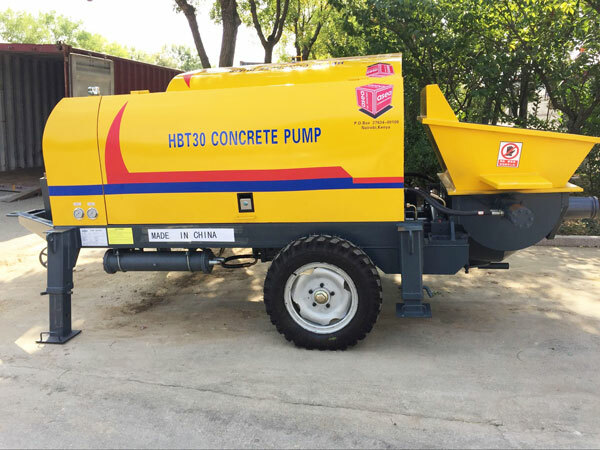 All of general cement pump for sale can be named as trailer concrete pump, it has a traction pin, as long as hang it on a trailer truck, it can be moved to anywhere. Differently, stationary concrete pump is without tyres. Diesel concrete pump for sale is driven by diesel engine, it is much more suitable for areas lack electricity or have no electricity, that’s to say, under bad electricity condition, concrete pump with diesel engine also can achieve high performance, we have many types of diesel concrete pumps, and we are diesel concrete pump manufacturer, we will provide you with best diesel engine concrete pump for your project! 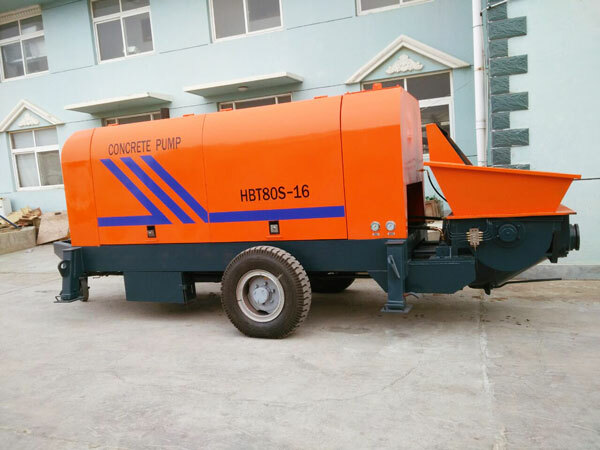 Electric concrete pump for sale is well suited to finish work in a good electricity condition, it needs electricity, stable power. 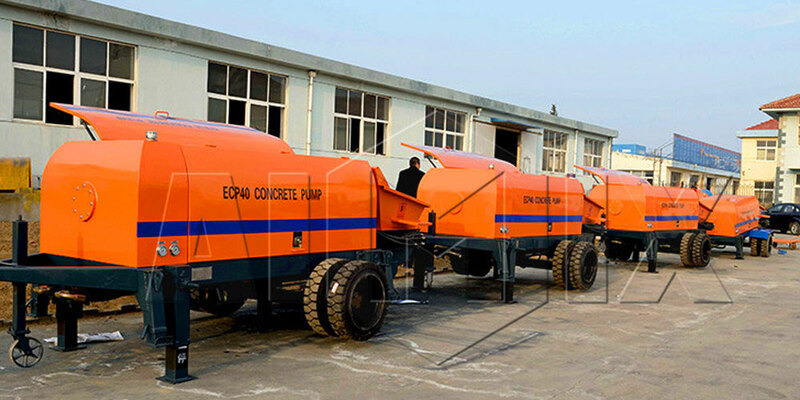 There are many electric concrete pump manufacturers on the market, you must polish your eyes to choose a right manufacturer, then you are possible to get quality electric concrete pumps, we adopts imported electric motor, ensure your efficient work. Concrete boom pump for sale , also can be named as concrete boom truck, it has appearance like a truck, but it has long placing boom, this type beton pump is suitable for high building, materials placing height depends on the length of the concrete boom. 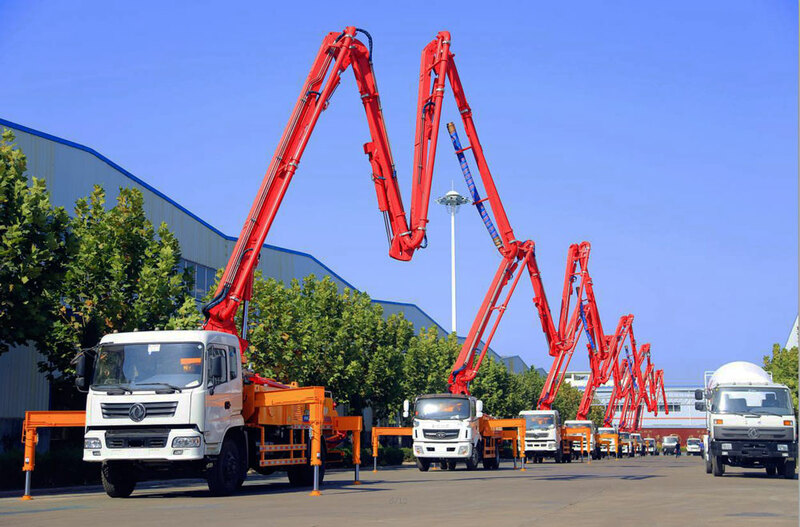 If you plan to build high buildings, concrete pump truck will be your ideal choice. 4. If possible, choose chinese concrete pump, because china does well in beton concrete pumping machine field, and you can get concrete pump cost per hour from our professional salesman. 5. We AIMIX GROUP CO.,LTD has been engaged in concrete pumps for sale for years, have rich experience for all kinds of projects, contact us, we will make detailed project plan for you, we promise you will get quick returns. 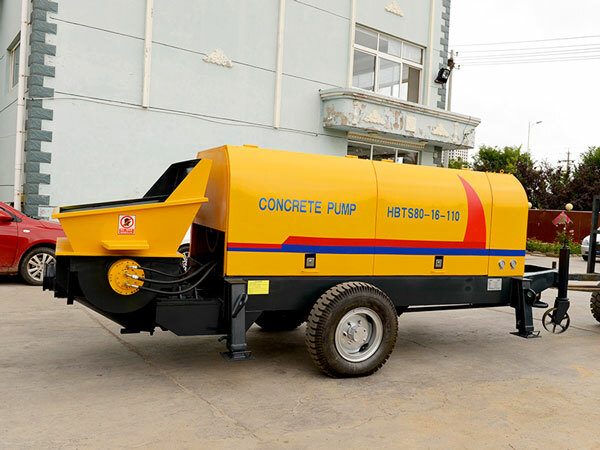 If you are interested in investing a cement pump, please leave your demands on my website, our salesman will list how much are concrete pumps in detail, and help you make comparison, then choose a right concrete pump for sale.